Car is located in Portland, OR. Had engine compression tested at PRE (Performance Race Engineering) 12/18/13 for added mental security to anyone worried about swapped motors. So it has come again……This car has had a crazy history with me. I helped finish the build of it and drove it for 3 years before I sold it to a friend awhile back. But due to him having a baby on the way it came back to me. Unfortunately only for a little while. I must sell her again as I'm moving to California for a new job in January which entails a long commute and this car just isn't going to fit in the cards anymore. Looking to hop into a BRZ and get the best of both worlds (minus the power haha). The swap work was completed by my good friends over at Solid Autoworks in Salt Lake City, Utah. The car is my daily driver for over 2 years and presented me with zero issues. I'll be getting an oil change for the car prior to sale. Below is a parts list encompassing the majority of the car. I also have a quote from Solid Autoworks (used to increase the insurance coverage) that has some additional information and can be sent to potential buyers. Also, the car used to have some rear quarter panel rust on the passenger side that I had professionally cut out and fixed with new metal/paint. I had them go in and get rid of any preliminary rust spots on the driver side as well. So the dreaded 1/4 panel spots should be no worry! Pictures after the info. 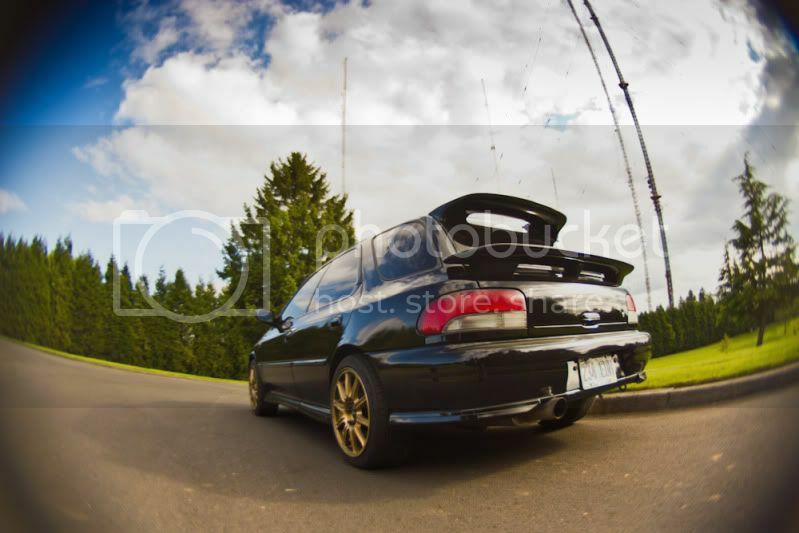 I'll be adding some more photos with new engine bay shots that show the current 08 STi TMIC setup shortly. 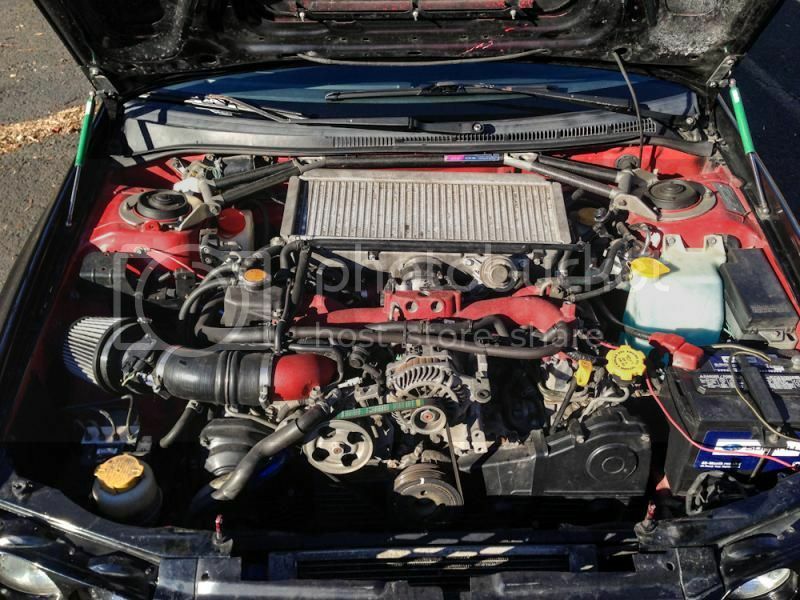 Donor car was purchased and the full STi harness was swapped over after complete strip down of the L. Door, headlight, and interior lights from original harness were left in place and merged into the STi harness. 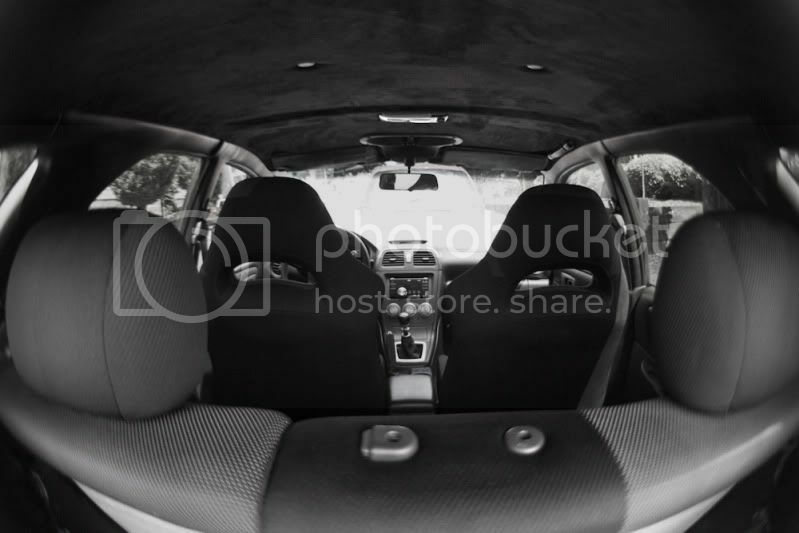 •	No airbags (dash light is on). Originally stripped of airbag system to eventually become track car. •	Needs door side moldings. •	Rear interior plastics painted black and are chipping. 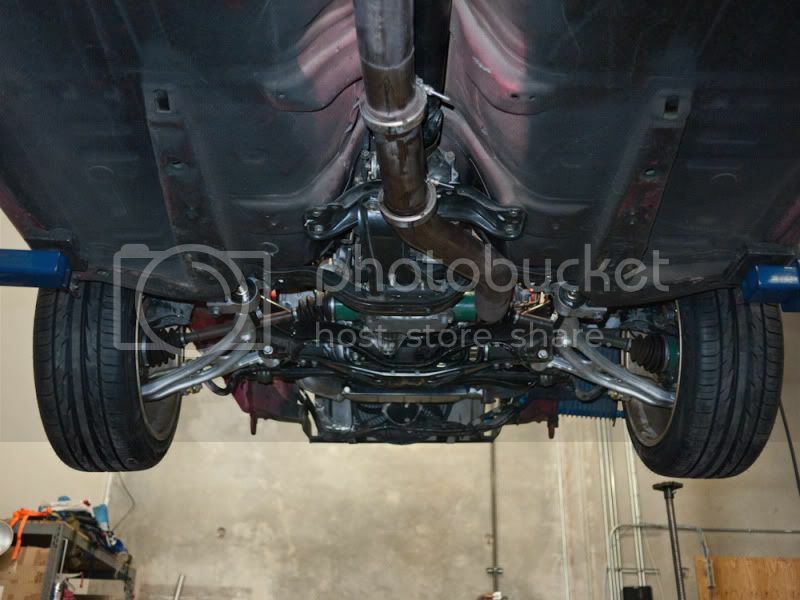 •	Stock STi downpipe/midpipe mated to Subaru Factory Genome axle back exhaust. Last edited by hail2theTheif; 12-24-2013 at 06:59 PM. Added some undercarriage shots. Saturday bump! 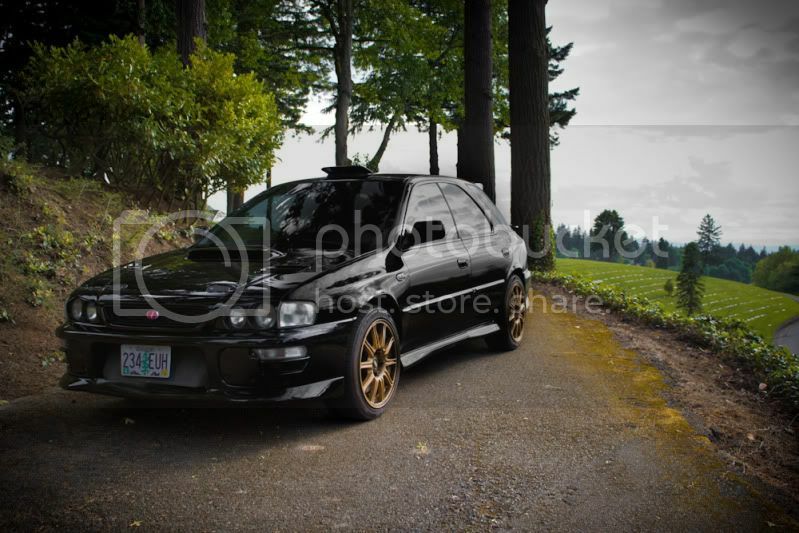 Wow, I was looking for a picture of a GF8 on BBS Sti rims, what a great looking car, reminds me of my old gf8 Sti I had in Japan. Good luck selling it! Bump and a few new pics! 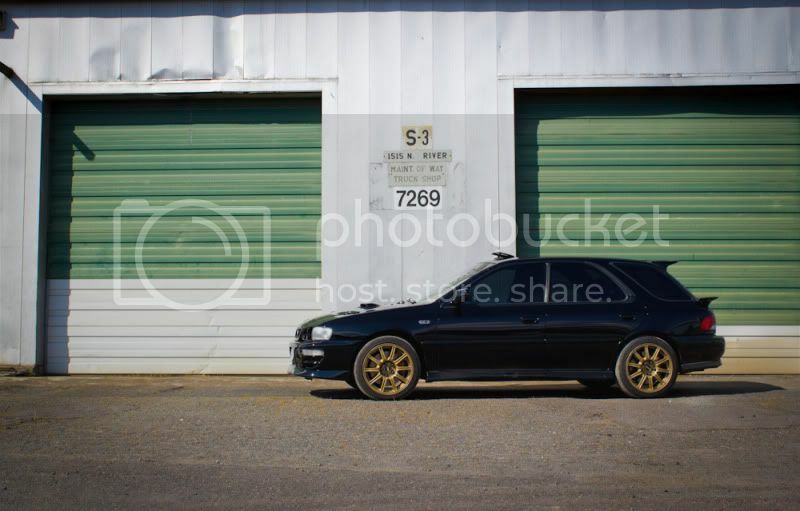 I love this car, one of the cars that inspired me to do my own swap in 04. To anyone thinking of buying this car. It is an amazing thing to ride in and was built right. Let me know if you'd be willing to sell the v mount separately. Glws. Whoever picks this up will absolutely love this car. Thanks for the nice comments sleepy! This would be a great lil xmas present for someone! You know you want it! One more week and she'll be in CA.